When my little Amazon Package arrived last week, I was really excited about what was inside. 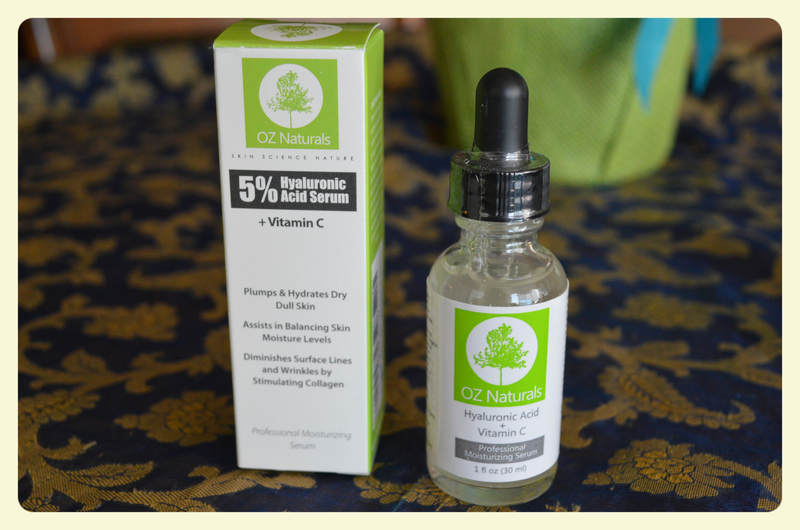 I’m always on the lookout for some new skin care and was really eager to try OZ Natural’s natural Hyaluronic Acid Serum. Below are my thoughts. I love the packaging, the glass bottle makes it look and feel so luxurious and I appreciate that it has an eyedropper applicator. The directions are clear on the outer box and I love that I can pronounce and know what the ingredients in this product are (these guys are not kidding about it being natural, there is aloe, witch hazel, botanical hyaluronic acid, and kosher vegetable glycerin to name a few ingredients). It has a light and fresh smell. The formula is clear and feels creamy to the touch. The moment I put this on my face, my skin absorbed the product right away. It is designed to be a step you do before moisturizer to help it seep into your skin to “plump and hydrate dull skin”. I feel like it amplified how well my moisturizer worked. I used about a quarter sized amount and put it over my face and neck. I could even put this over my eyes with absolutely no irritation, so I even lathered my eyelashes with it. I do see an improvement in my skin. I feel like it’s been plumped, and my fine lines are not as noticeable. I also began to notice that my skin continues to feel hydrated even if it’s been some time later. This is huge for me because knowing that my skin is continually being moisturized means that I don’t have to worry about super dry and tight skin. I feel like my skin has been glowing. I even feel more comfortable going around with no makeup on. My skin feels revitalized, maybe it’s because of all the natural ingredients releasing vitamins directly into my skin, maybe it’s the Hyaluronic acid (which is used as a skin injectable, as well as other medicinal treatments) but I just feel so much happier with my skin. Also, reading off the web, hyaluronic acid can be applied to the skin to to heal wounds, burns, and skin ulcers. I know that aloe is great for healing sun burns so I like that I can apply this after a day in the sun to cool down my face. I’m really happy that I tried this out. As I’ve said before, my skin is very dry, so anything that will moisturize is a plus. 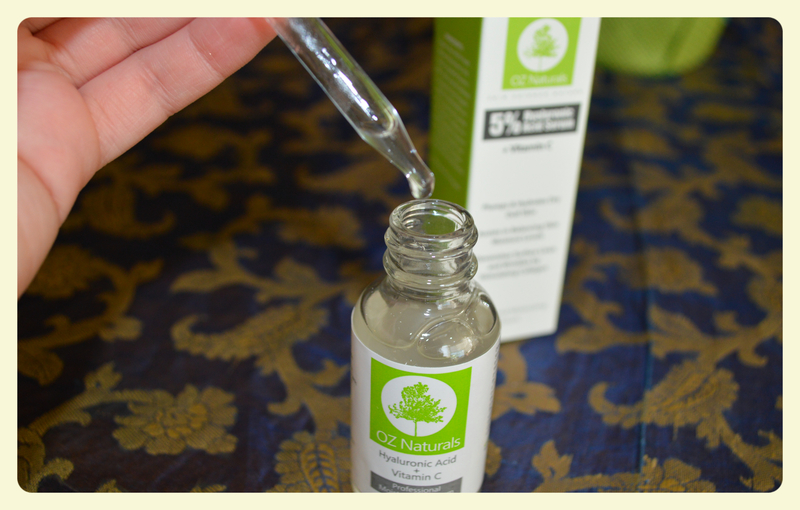 What I really like about the natural Hyaluronic Acid Serum in particular is that I don’t feel greasy when I put it on which is perfect for the hot humid days, and I feel like it’s made my skin more vibrant over the last few days. 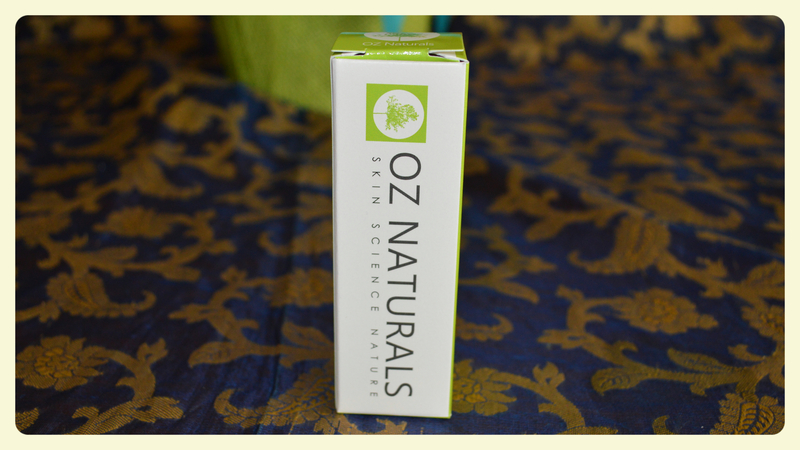 I am likely going to purchase this product and more from the OZ Natural’s line, only because I feel confident that they will improve my skin. Great post, I’ve always wanted to try it, is it in stores or online? Sounds great! I’ve been reading about the benefits of applying serums before you moisturize – I feel like this may be a product I should try for myself!